The Perdomo Fresco Toro bundled cigars are a diamond in the ruff. The Perdomo Frecso cigar is comprised of savory long filler tobaccos grown in the rich, dark soil of the Perdomo farm in Esteli Nicaragua. The Perdomo Fresco Toro bundled cigars are a diamond in the ruff. The Perdomo Frecso cigar is comprised of savory long filler tobaccos grown in the rich, dark soil of the Perdomo farm in Esteli Nicaragua. The binders are carefully selected from Perdomo's crops grown in the Jalapa Valley region. 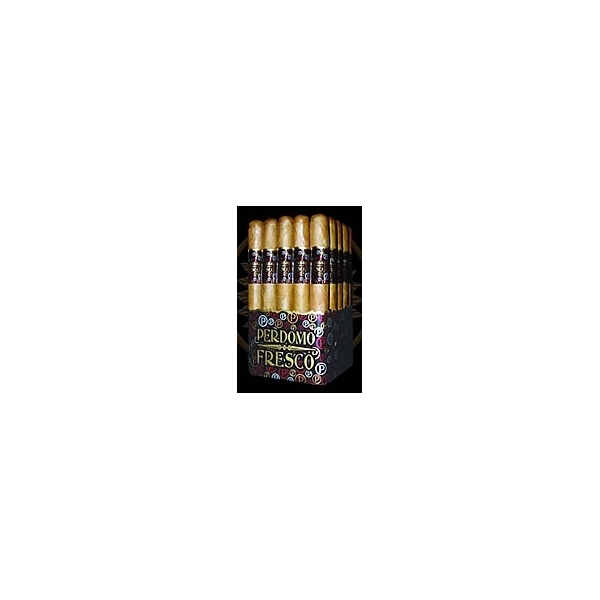 The Perdomo Fresco cigars have a golden Connecticut shade-grown wrapper, Perdomo Fresco Toro cigars are a moderately priced bundled cigar, and are a mild to medium-bodied cigar that is creamy, smooth and well-balanced.